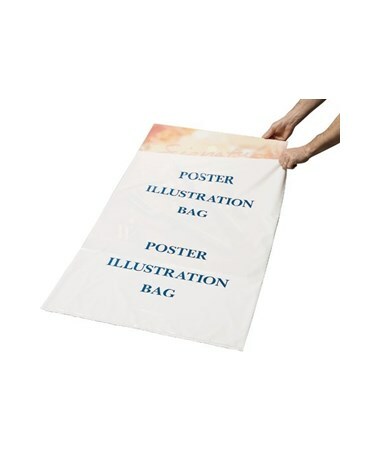 The Alvin Poster Illustration/Foam Core Bag (100/Box) is a perfect storage for dry mounts, posters, illustration boards, foam boards, and other large-format materials. 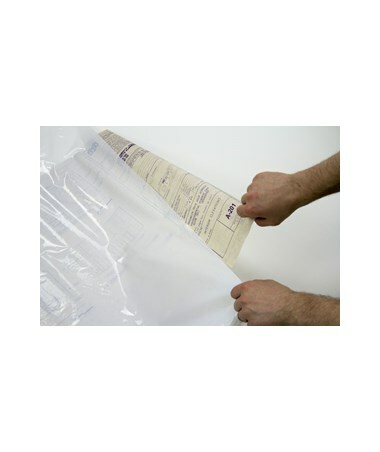 A great and effective way of protecting items from weather during transport, it is made of 0.00275 mil. 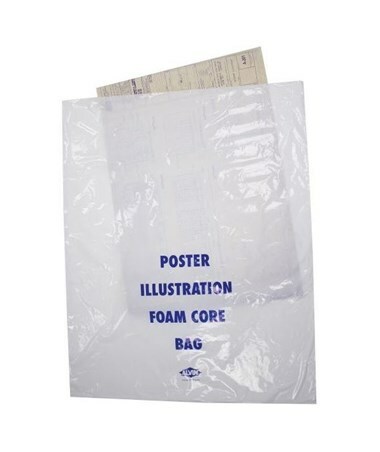 polyethylene material that is low-density and water-resistant. 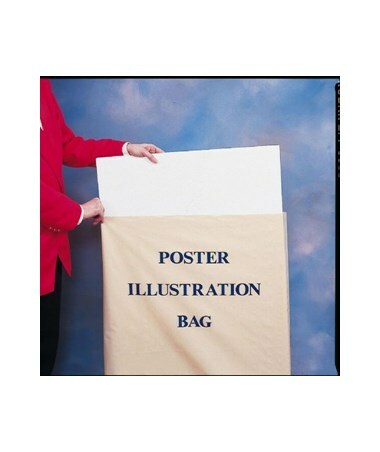 The Alvin Poster Illustration/Foam Core Bag (100/Box) helps in keeping fingerprints, smudges, and dirt off presentation boards. 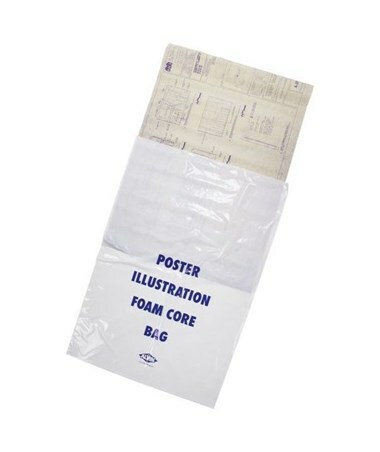 It contains 100 white foam core bags in one package to accommodate most storage and transport needs. 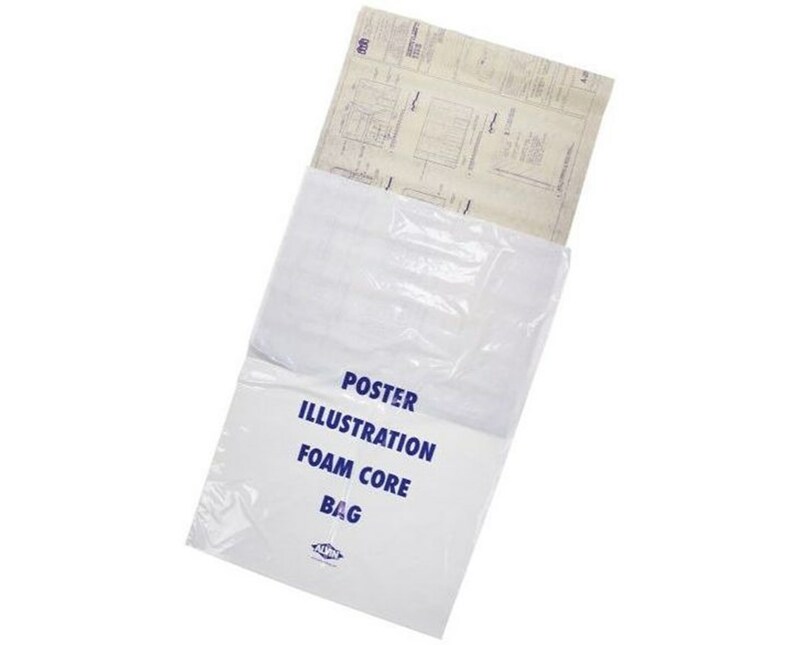 To fit common sizes of foam boards, it comes in two large sizes: 26"W x 38"L and 35"W x 45"L.
The Alvin Poster Illustration/Foam Core Bag (100/Box) offers two sizes to fit different document storage needs. Please select your preference from the menu above.